Stephen M.R. 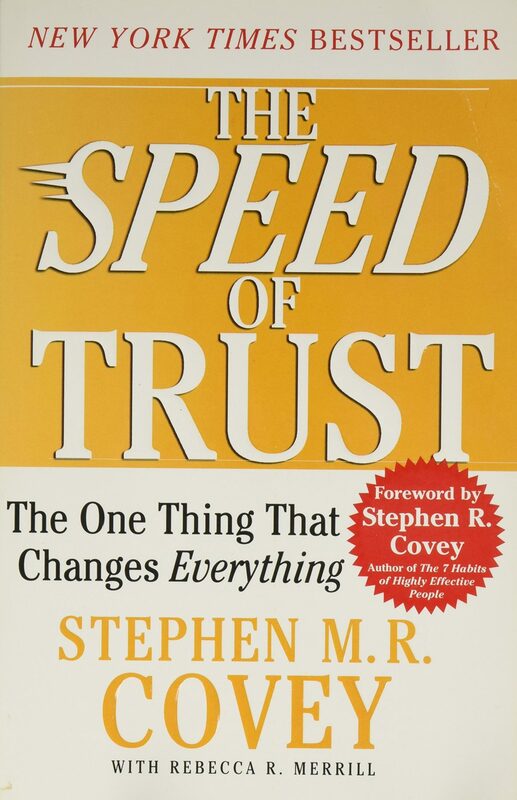 Covey shows how trust—and the speed at which it is established with clients and, employees—is essential to a successful organization. In fact, Covey postulates that trust is the essential ingredient for any high–performance, successful organization. The Speed of Trustoffers an unprecedented and practical look at exactly how trust functions in every transaction and relationship. It also discusses how to establish trust immediately so that you and your organization can avoid bureaucratic check–and–balance processes that are so often deployed in lieu of actual trust.